Fabulous, the tent is up, a 6 pack of ice cold Coronas pool side and we are liken life. The sun is up red the next morning. I thought that was weird. Later I hear on the radio that it's because of the forest fires in Wyoming. One fire is in the Big Horn Mountains, just where we are planning on riding. 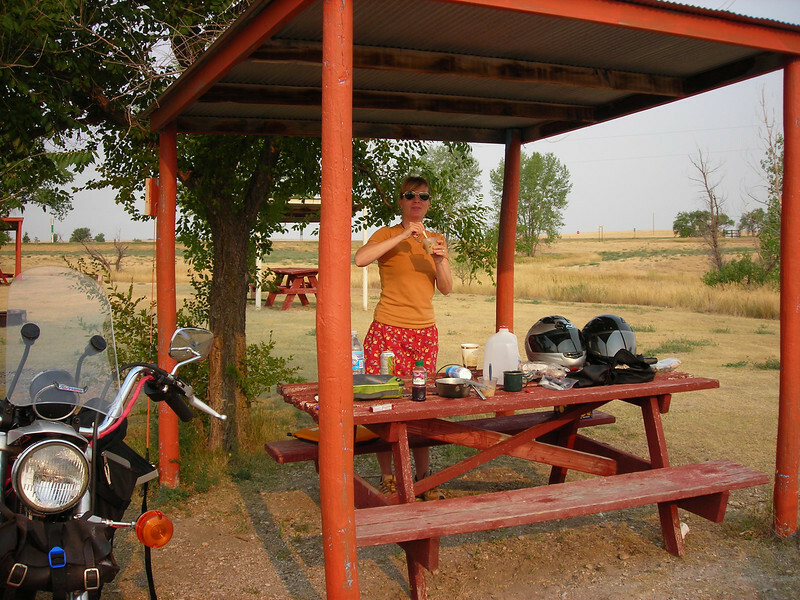 Interesting…..
We pay for 2 nights at the Badlands camping spot, Circle Ten. Today is devoted to exploring the badlands, a little hiking and just R&R, a perfect day in our world. Heidi is actually admitting she likes this type of camping. Am I imagining things?